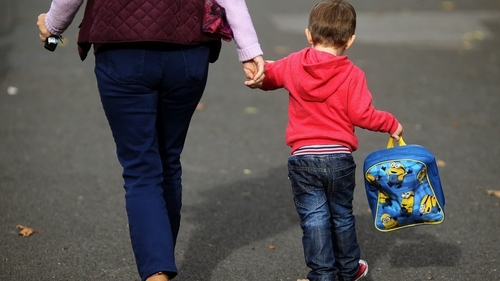 The Government has been urged to support a bill that would increase parents' entitlement to unpaid leave. At present, parents are entitled to 18 weeks of unpaid leave, to be taken up until their child is eight years old. Under the Parental Leave (Amendment) Bill propose by the Social Democrats, this entitlement would be increased to 26 weeks of unpaid leave, to be taken up until the child is 12 years old. Speaking on RTÉ's Today with Sean O'Rourke, Róisín Shortall said that the bill enjoyed cross-party support in both the Dáil and Seanad since its introduction late in 2017 until just before Christmas 2018, when it was due to go to Committee stage. She said at this point, the Government "changed their mind and decided to oppose the bill". The joint leader of the Social Democrats said the reason for the Government's change of heart has not been made clear to her. Ms Shortall said that because the leave is unpaid, the cost of it to the Government is "minimal" as it is "essentially administrative costs". She also said that claims the bill required pre-legislative scrutiny before it can go to Committee stage are not relevant as the Oireacthas Justice Committee has decided that it does not require such scrutiny, as it extends existing legislation. The Dublin North-West TD said the Private Members Bill, which is co-signed by her party co-leader Catherine Murphy, has gone through all of the relevant legislative procedures but the Government is not supporting it. "They are saying all the time that they are in favour in principle but they are raising a whole lot of obstacles," she said. Ms Shortall said the bill has the support of ISME - the body representing small and medium-sized businesses - but she has been briefed by Minister for State David Stanton that Ibec, which represents larger businesses, has concerns about it. However, she said that it is not the Government or employers who bear the cost of the change but rather the parents. Seeking to reassure employers, Ms Shortall said it will improve their ability to recruit and retain workers by providing flexibility. "Families are crying out for the flexibility that this Bill would provide for them," she said. Appealing to the Government to support the bill, Ms Shortall said the legislation could clear the Houses of Oireacthas in a couple of weeks if time is allowed in the Seanad for it to be taken. "It needs about four hours in the Seanad - two more sessions - and it needs to come back into the Dáil for about an hour," she said. "This could become laws in a matter of a couple of months and I'd appeal to the Government to listen to parents around the country who are crying out for this measure."